Be. Our. Guest! It is not just a restaurant; it is an experience. The entire space is magical and filled with special details. We have had the wonderful opportunity to eat at this lovely place for both lunch and dinner. 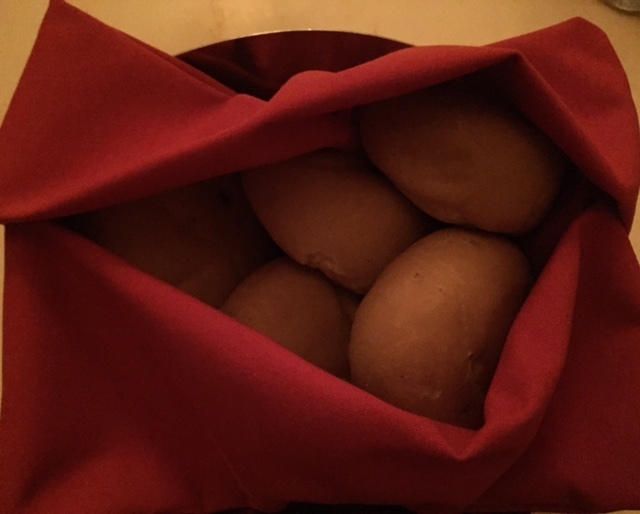 If you have the chance, the dining experience at dinner is fabulous and worth the extra money. Lunch diners utilize a kiosk to order food, and then the meal is magically brought to the table of your choosing. Dinner guests are seated at a table and served by a terrific group of cast members. There are three beautiful dining areas themed perfectly. The Grand Ballroom is stunning with a high ceiling and lovely chandeliers. Out the window, you can see snow gently falling on the ground. 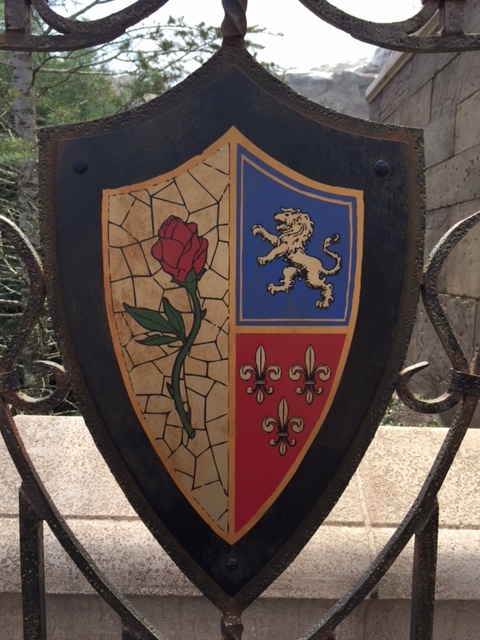 The West Wing holds the enchanted rose and is full of secrets. Finally, The Castle Gallery holds the romance of Belle’s library. When we visited for lunch, we sat in The Castle Gallery. We dined in The Grand Ballroom for dinner. On both occasions, we walked around the restaurant to see the other rooms and enjoy the ambiance. A great addition to the dinner was a visit with the Beast at the end of the meal. 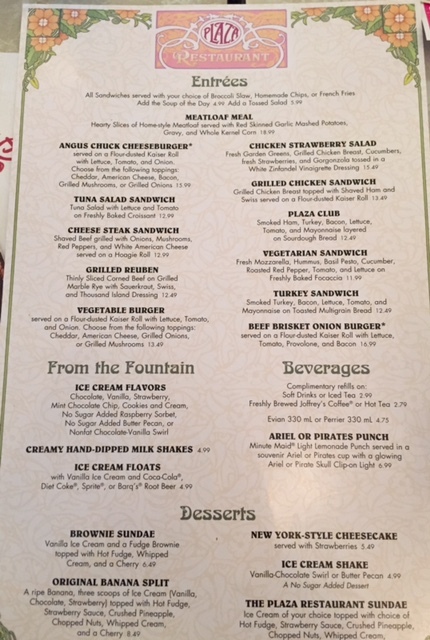 The food is delicious and there are many gluten-free offerings at both lunch and dinner. The lunch favorite was the Carved Turkey Sandwich served on gluten-free bread. Our dinner favorites were the Grilled Strip Steak and Sautéed Shrimp and Scallops. Mary and I were especially thrilled that at dinner, we could order wine! Our server suggested a nice pinot grigio. It was a treat! 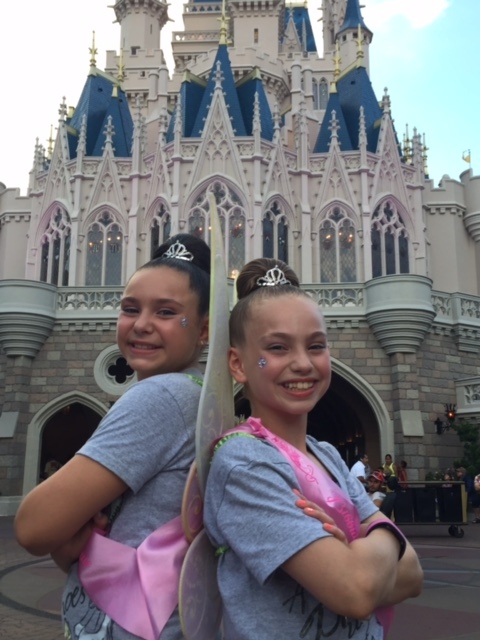 To make our day even more special, Mary and I surprised Katie and Judy with a trip to Bibbidi Bobbidi Boutique – Magic Kingdom before we had dinner. It is a sweet beauty salon in which girls get to have a special hairdo, makeup, and nails done by a Fairy Godmother-in-training. 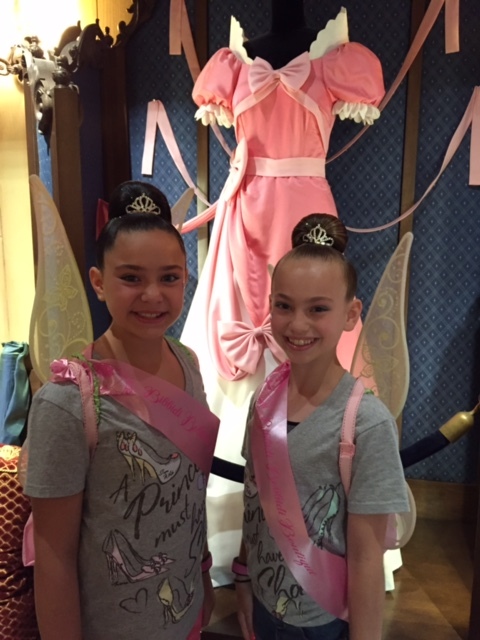 The girls were treated like real princesses and sprinkled with Pixie Dust! 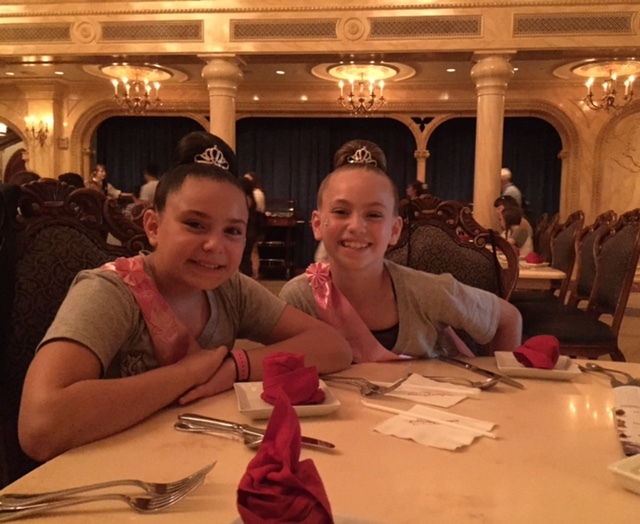 Katie and Judy were so thrilled to have their princess tiaras and sashes on while we ate at the Beast’s enchanted castle! I highly suggest advanced dining reservations for Be Our Guest Restaurant. It is a very popular dining attraction for good reason! We loved our experience! Sometimes you just want a burger. 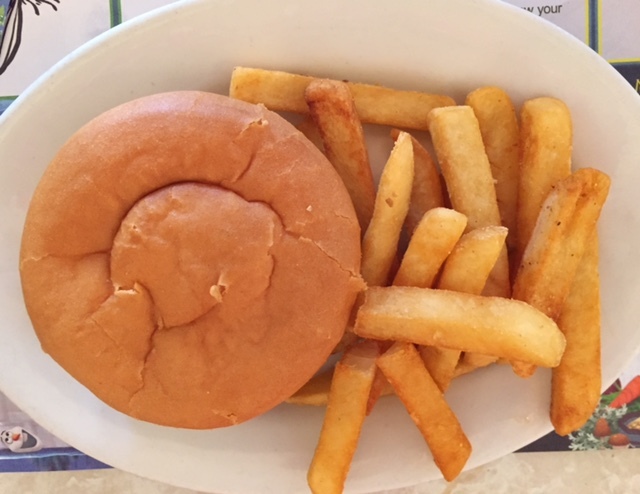 A delicious juicy burger is a vacation treat on a hot day. 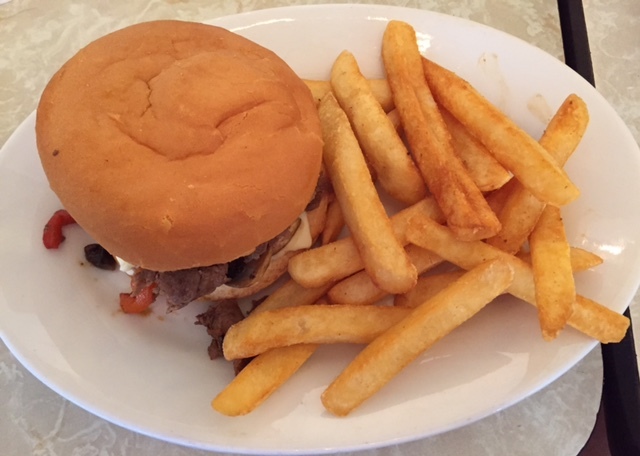 It had become a distant memory for my family to enjoy a juicy, thick burger while on vacation, but those memories were changed to reality when Mary and I took the kids to The Plaza Restaurant in Magic Kingdom Park. It is truly a hidden treasure. Located next door to the Plaza Ice Cream Parlor at the end of Main Street, U.S.A., it is easy to miss. In fact, we have walked past the restaurant thousands of times, yet we have never stopped in for a bite. 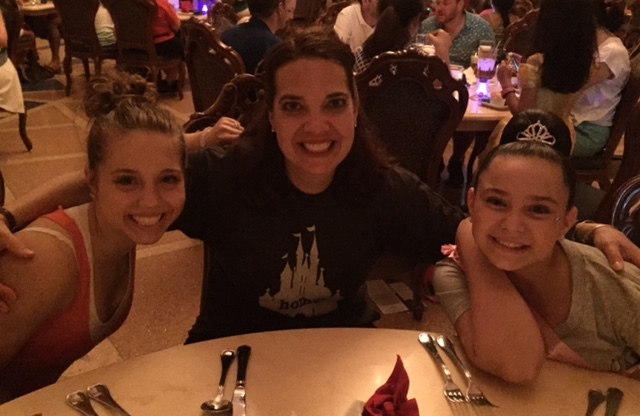 On our last trip to the Walt Disney World Resort, it was on our bucket list. I am so happy we tried it! 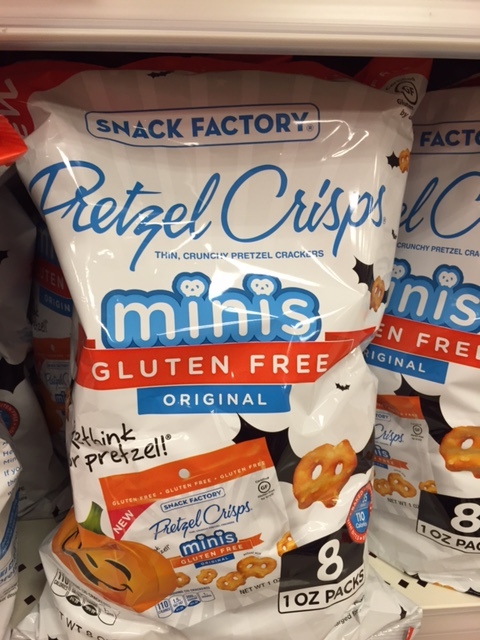 The gluten-free offerings are simply outstanding. It is a darling place to dine. The atmosphere is adorable. The window seating faces Cinderella Castle and the beautiful new gardens. The other walls are mirrored with painted touches. The manager, Timmy, came to our table and kindly informed us that all – yes all – of the sandwiches on the menu could be made gluten free. We were also told that the fries are made in a dedicated fryer and free of contamination. I knew we were in for a gluten-free dining treat. I highly recommend the Angus Chuck Cheeseburger. It was a hit among several at our table. 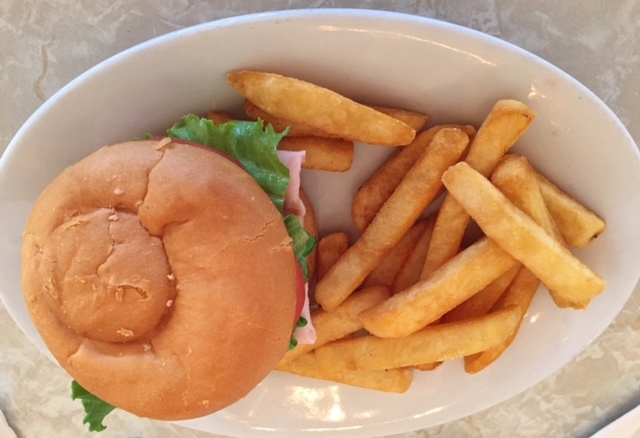 Prepared to order with a delicious warm gluten-free bun and a side of fries. Absolutely dreamy! 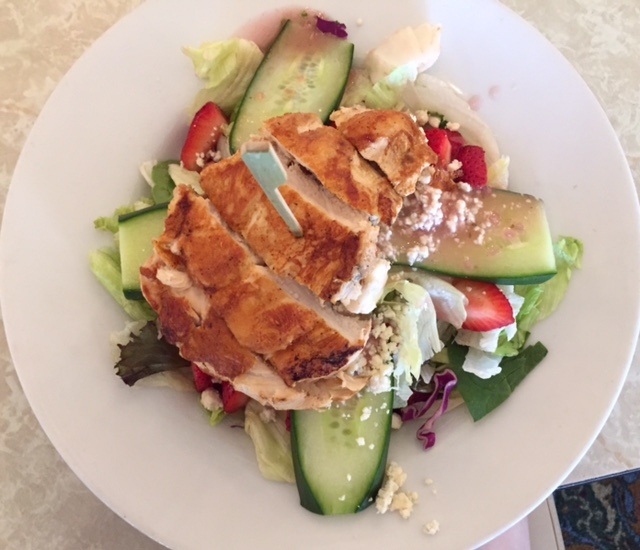 Mary Genevieve chose the Chicken Strawberry Salad. She loved the fresh strawberries and the homemade white zinfandel vinaigrette dressing. 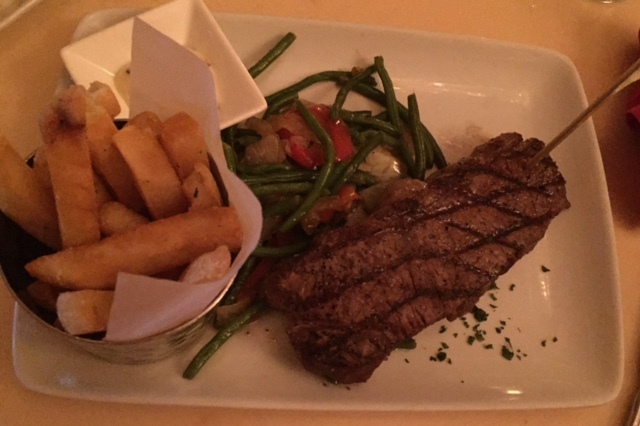 It was a large portion and very filling! Mary had the Cheese Steak Sandwich. It was yummy! Yes, I had to sample a bite myself! It had tasty red peppers that gave the sandwich just the right amount of kick. 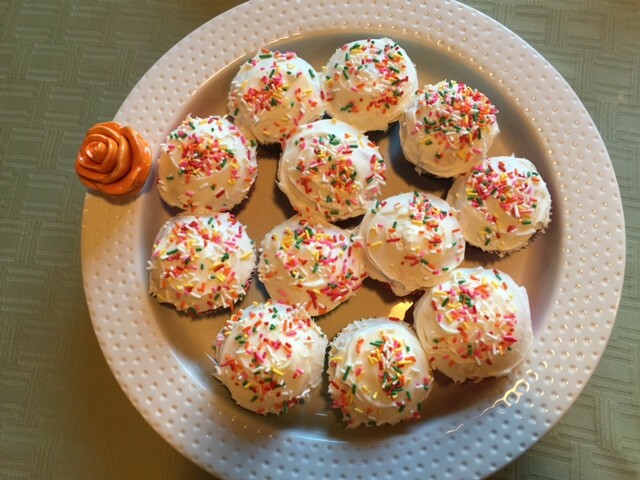 Of course, our family meals would not be complete without dessert. 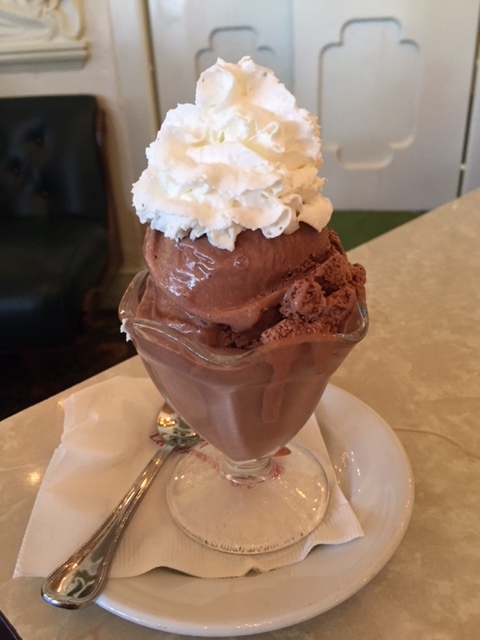 We all loved the homemade ice cream topped with whipped cream. It was just perfect. 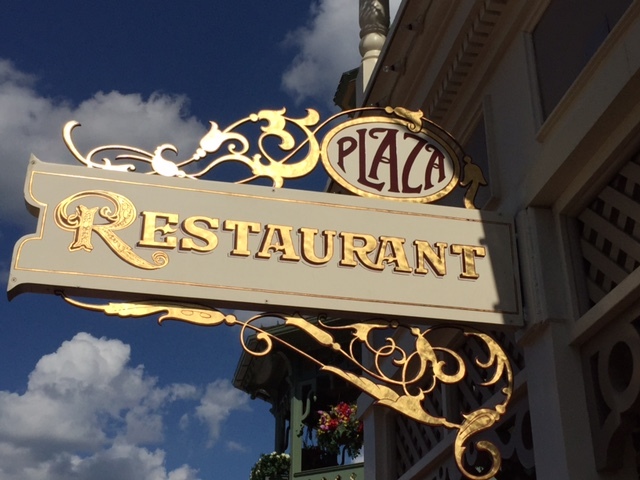 The Plaza Restaurant is open for lunch and dinner. Reservations are most certainly recommended. 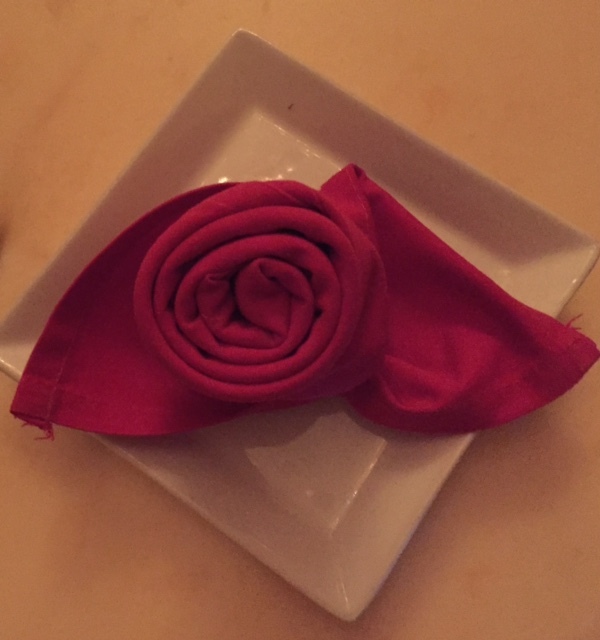 We will definitely be dining at The Plaza Restaurant again! You just cannot beat the location, the atmosphere, and the gluten-free offerings! 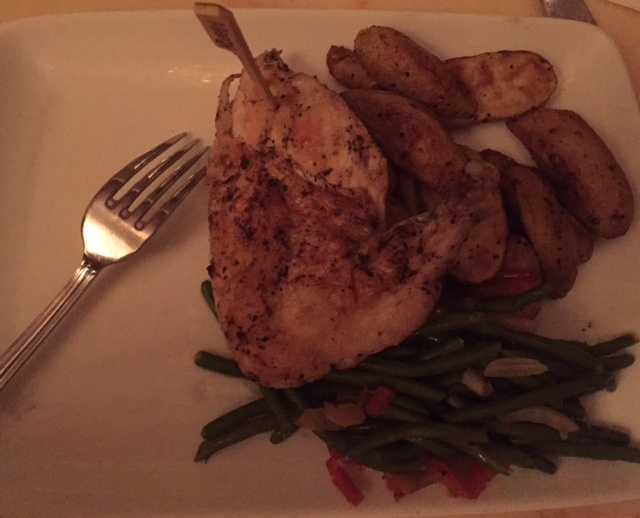 Here is a guest review Jennie originally wrote for Alexis Salerno’s amazing blog, Gluten Free in Orlando. 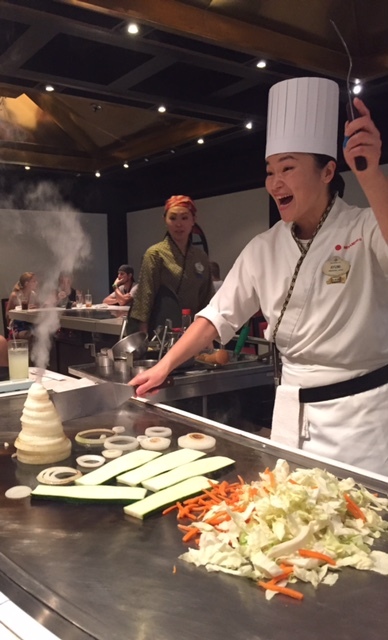 One of my family’s favorite places to dine is Teppan Edo, located in Japan in the World Showcase in Epcot. It is not just a place to eat; it is a dining experience. The meal is prepared at the table by the chef. It is a fun event for the entire family. 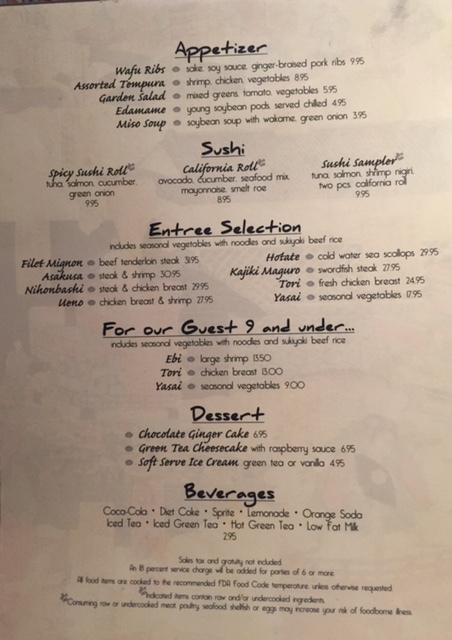 Our family always chooses Teppan Edo because of the incredible gluten-free offerings. At our latest visit in July, we were thrilled to walk up at noon and find a table open without advanced dining reservations. What a wonderful surprise! It is a terrific place to go with a large crowd, because the tables fit eight people. If you have a smaller party, you will be placed with another family. I was traveling with my two children, my sister, Mary, and her three children. Our party totaled seven. We were greeted by the manager, Garin. We explained to Garin that five of our party members are gluten-free. 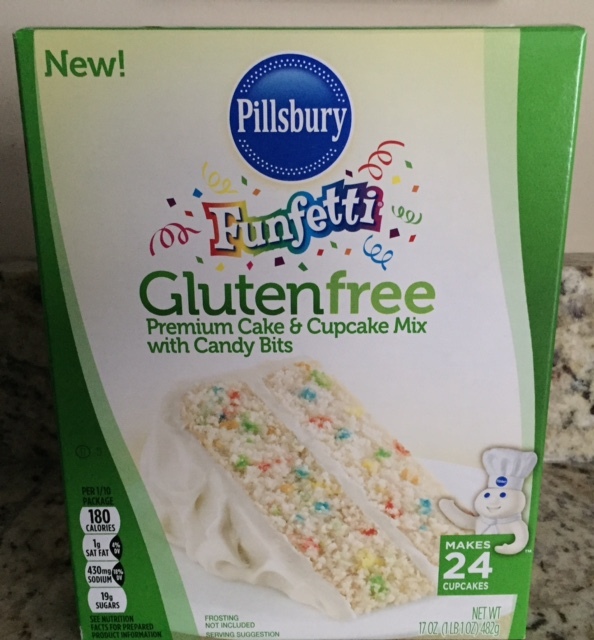 My two daughters and my niece have Celiac Disease and my sister and I choose to eat gluten-free as well. My fourteen-year-old daughter is highly sensitive, so contamination is always a big concern. Garin was very kind and explained that everything can be prepared gluten-free, except the noodles. Our table was supplied with gluten-free soy sauce and the chef prepared a cream sauce gluten-free. Our meal began with sushi. This was a true treat because not many restaurants offer gluten-free sushi and my daughters both love it. We enjoyed an appetizer of the sushi sampler, which included tuna, salmon, shrimp nigiri, and California rolls. 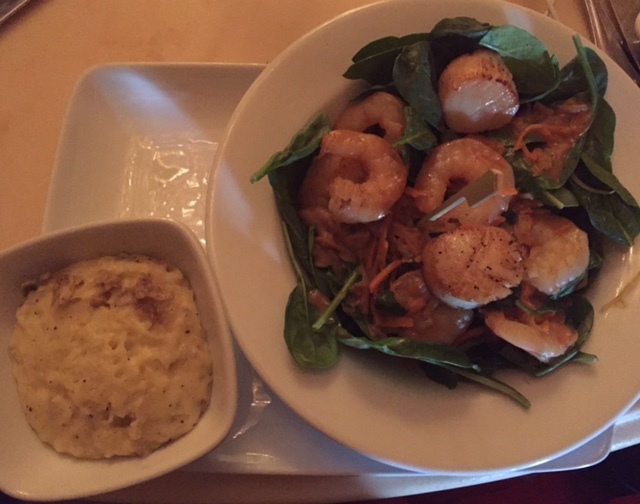 My sister, Mary, had shrimp and steak. She told me that is was fabulous and the steak was grilled to perfection. The meat was a perfect cut. My fourteen-year-old daughter had swordfish. She raved about her lunch. My ten year-old-daughter and my ten-year-old niece each ordered the shrimp and I had shrimp and chicken. We all could not be happier. My seven-year-old twin nephews, who do not have Celiac Disease, enjoyed chicken and shrimp. The entire atmosphere was festive and we enjoyed our afternoon. 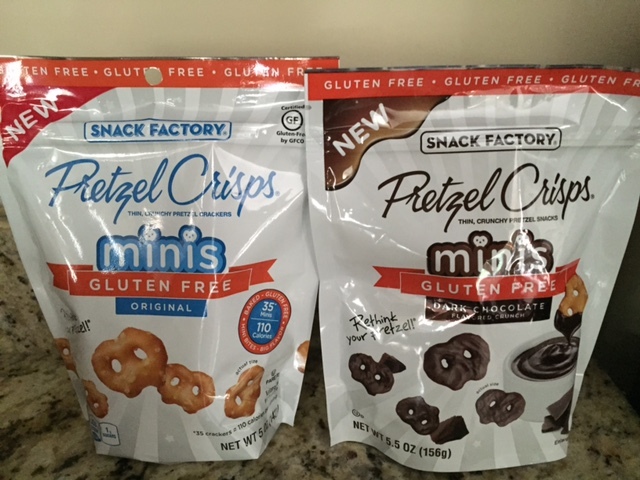 The gluten-free options are outstanding. 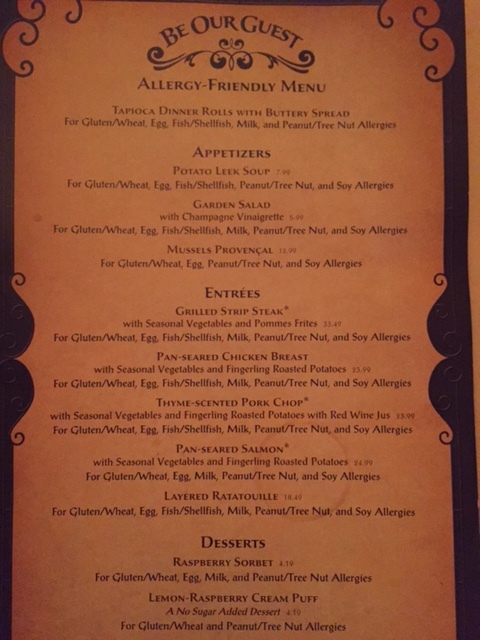 It was a safe and fun place to dine for those who suffer from Celiac Disease. Thank you, Teppan Edo! Every Saturday my mom and I run errands and go shopping. 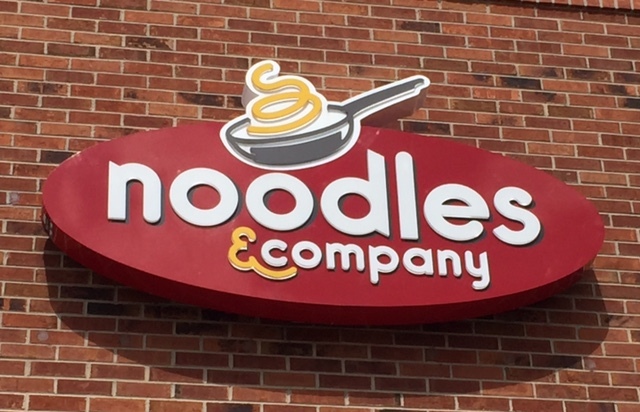 We like to stop to get some lunch so it’s usually Noodles and Company. I don’t really like different types of pasta sauces; I really just prefer butter. I am so happy they can accommodate my needs and tastes. 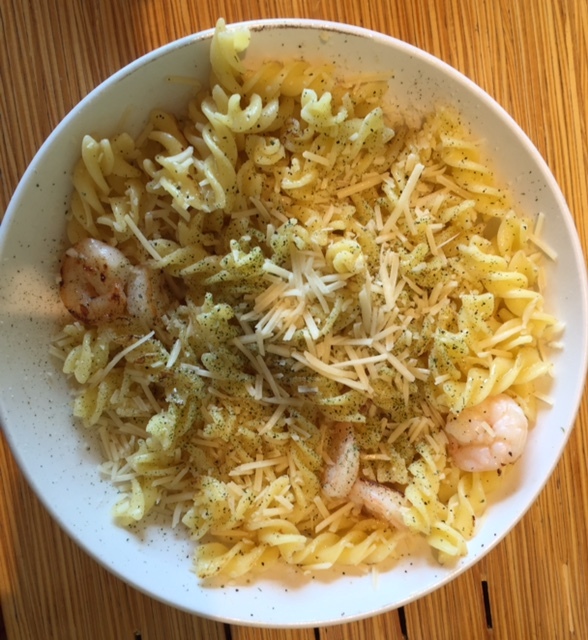 When we are there I always get gluten-free fusilli noodles with shrimp, butter, Parmesan cheese, and seasoning. It’s so delicious!